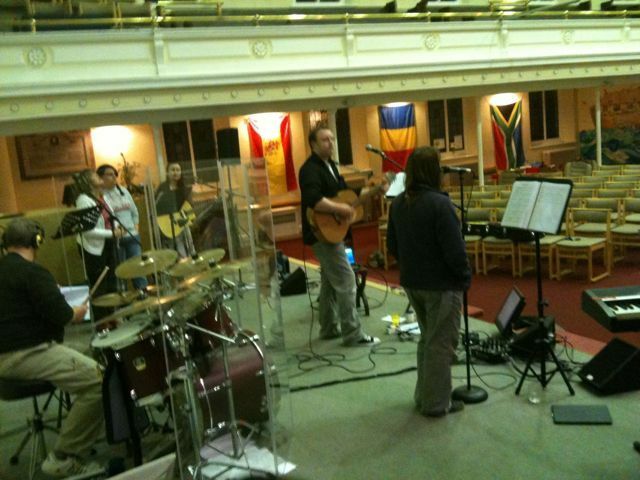 All is going well for saturday’s worship concert! It’s been a busy time of preparing and structuring songs alongside getting the CDs sorted and ready to be available for the 17th! 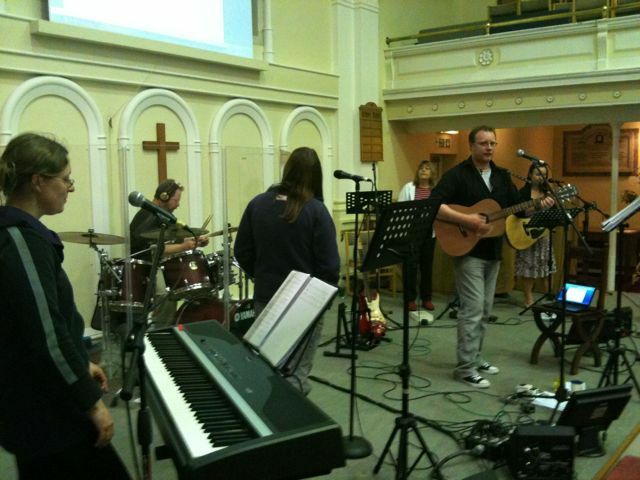 Had our final proper rehearsal tonight which went really well and we’re looking forward to worshipping with everybody on Saturday. Got a couple of days now for resting voices, burning CDs, packaging the CDs, a few final tweaks and run throughs, oh and I’m speaking at deeper tomorrow evening!! It’s all good fun though which definitely helps! Here are some pictures from tonight’s rehearsal. Look forward to seeing lots of you on saturday at 7.30pm at Christ Church!! Praise God for He is good!